I wouldn’t blame people visiting here to think all I make are soup, jam and cake! While its true that I find those the most interesting things to post I do also eat other things! Fish can be a take it or leave it dish for me, I try to eat more to be healthier but I rarely use a recipe, usually a drizzle of olive oil, squeeze of lemon, whatever herbs are available and pop it in the oven. Today however Id like to share my fish cake recipe, its been a work in progress for a little while but now I feel its ready to share. 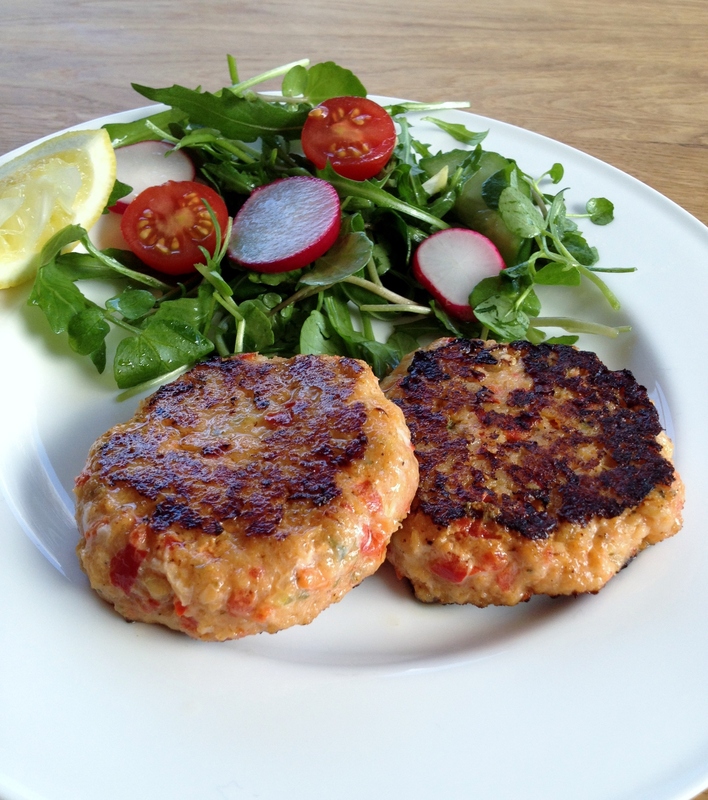 These fish cakes are easy to make but you will need a food processor. To avoid the use of egg or bread as a binder the mixture must be really well combined, in a way that only a processor could do. They are fragile but with some good shaping and a spell in the fridge the fish cakes hold their shape really well. I like to double the recipe and freeze a batch, nothing sweeter on a work night than having a meal ready made in the freezer! Use whatever white fish takes your fancy, pollock, cod, haddock. salt and pepper, approx 1/4 tsp each – less if you are watching your salt intake. In a food processor finely chop the celery and onion. Heat the oil in a frying pan and saute the chopped celery and onion until translucent. Add the garlic, stir quickly and remove from the heat. Add the red pepper to the food processor and chop finely. Add the fish, herbs and spices, tabasco and cooked celery and onion to the peppers in the food processor. Add salt and pepper and pulse it all in the food processor until it’s all blended together. It does need to be mixed pretty well so that it will hold its shape when formed into patties. Form the mix into patties with your hands, (the mixture will be quite wet, that’s normal). Pay attention to the edges, making sure they are not ragged but smooth, this will avoid tearing when cooking. Put the patties on a plate, cover with cling film and chill for at least an hour so the fish cakes keep their shape and don’t break apart when cooking. If freezing, now is the time to wrap in foil with a little grease proof paper in between each fish cake. When ready to cook, heat some oil in a nonstick frying pan. If you don’t own a nonstick skillet – check out these non-stick cookware reviews, as nonstick cookware is essential for any budding chef. Add the fish patties to the oil and fry for 3-4 minute on each side until nicely browned and cooked through. Serve right away with salad or vegetables. 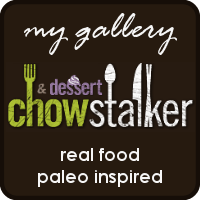 This entry was posted on February 19, 2014, 14:14 and is filed under Main Meal, Paleo. You can follow any responses to this entry through RSS 2.0. You can leave a response, or trackback from your own site. Great photo Jayne! These look so very good, I must try them. Now that I have gone gluten free I am always on the lookout for new recipes. Thanks so much for posting up! Thank you! I was happy to be able to eliminate the breadcrumbs! I admit it started off by not having any in so I thought I’d see what happened without! these look great! Even without breadcrumbs they look crispy on the outside! Thank you, it’s true they do crisp up well! I love fish cakes but admit to adding egg and breadcrumbs – will try your recipe. Terrific shot here, Jayne! I’ve got some great tuna packaged in a can; I think I’ll try using it with your recipe Jane. Looks insanely good and I agree with everyone else; great photo! Thanks! Good idea Barb! I keep meaning to try with salmon too but husband isn’t keen which would mean making 2 batches. 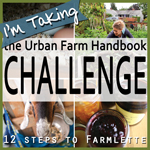 So pleased, thanks for commenting! Thanks, sweets will be back soon I’m sure! This looks great! I have made fish cakes once, and I loved them. Home made fish cakes are good aren’t they? Thanks so much for stopping by! Flavor is off the charts, but couldn’t get them to stay together. Will add some coconut flour and and egge next time because, once again flavor is WOW! I did chill overnight too so I know they had enough time to firm up! Great recipe overall! thank you, I agree they are fragile and I do have to be careful when moving them. Your egg and coconut flour will do the trick Im sure! Hi, do I use cooked or raw fish? Hi! You use raw fish.